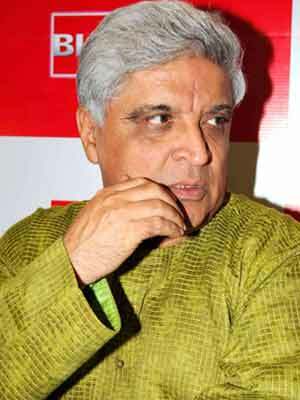 Veteran lyricist Javed Akhtar has translated the national song "Vande mataram" from Sanskrit to Hindi for director Ashutosh Gowariker's forthcoming period film "Khelein Hum Jee Jaan Sey". "I think if you are inspired, if you have that high energy created by the original text then it becomes easier for a writer to do something," the 65-year-old told IANS when asked how easy or difficult was the whole process. "So I won't say it was difficult although I was obviously and terribly over-awed by the responsibility. But somehow it happened very quickly and to the satisfaction of the music director (Sohail Sen) and the director," he added. "Khelein Hum Jee Jaan Sey", slated to hit the screens Dec 3, stars Abhishek Bachchan and Deepika Padukone in lead roles. Set in Chittagong in pre-independent India, the true life story revolves around a series of attacks executed April 18, 1930 and their aftermath. The music of the film was launched Wednesday and apart from the male lead, other B-town celebs like Jaya Bachchan, Aishwarya Rai, Anupam Kher and Kirron Kher were there. The story develops in a part of Bengal, so what all did Akhtar have to keep in mind while penning the lyrics? "When you take the background of a film, which is in a way alien to Hindi and Urdu - you have to still write the songs in Hindi or Urdu only, but it should somehow put the impression that perhaps this song has come from that language or that state or that era." "There are many words which cannot be used and there are many words that will help you create that literary illusion. In this film, the characters are Bengali, if I use chaste Urdu with them, that will sound false. So it should sound as if it has just been translated from Bengali. That effect should come in the album and that's what we have taken care of," he said. He has penned lyrics for many films, but says despite so many years of experience even he gets stuck sometimes. "In most of the films, more often than not, you are writing songs for the same kind of situations and to be different every time is a challenge. "Someone has defined an expert saying that an expert is a person who knows about less and less. This is how we film people are, we tend to know more about less and less. To create variety, to keep your diction fresh, to get something new, new words, new metaphors, is challenging and the first thought that comes to you is generally cliched, you have to reject that and then move further," he added. This is not for the first time that Akhtar has collaborated with Gowarikar - he worked with him in "Lagaan", "Swades", "What's Your Rashee?" and "Jodhaa Akbar".